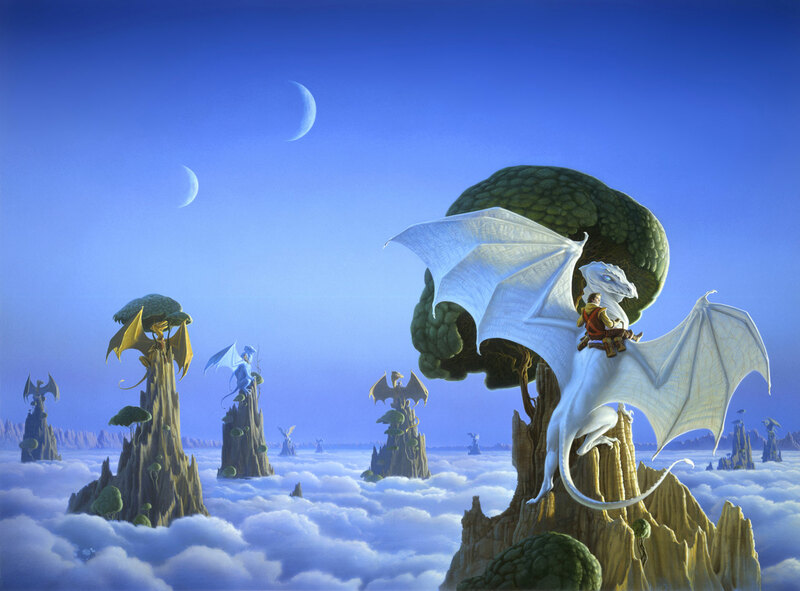 Acrylic on Watercolor Board - 27" x 36"
Michael Whelan's cover art for ALL THE WEYRS OF PERN by Anne McCaffrey is a wonderful dragon image for both the story and the dragon fan who hasn't read the book. After the huge success of THE WHITE DRAGON the Pern series was growing, but when it was time for Book 7 Michael had a scheduling conflict. He had to base his cover art on Anne's synopsis of what she was planning to write as she hadn't finished the manuscript. She ended up liking the "conference in the clouds" scene so much, she wrote it into her story. 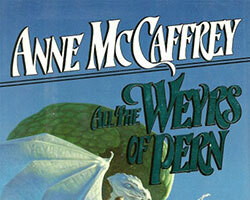 This was to be his last cover for the Pern books, but Michael and Anne are still good friends today. 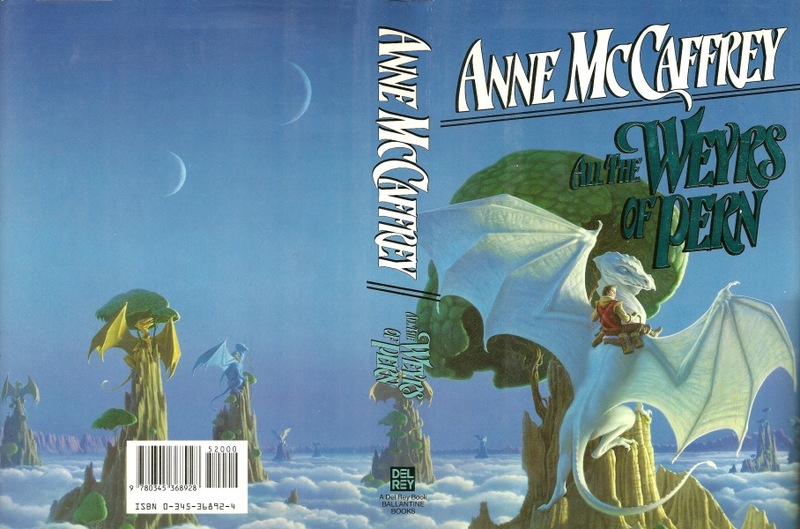 Led by Masterharper Robinton and F'lar and Lessa, the people of Pern excavate the ancient remains of the planet's original settlement and uncover the colonists' voice-activated artificial intelligence system.